Since opening in 2003, the iD Centre has helped over sixty businesses through those challenging early months. It provides modern, serviced offices combined with a support package designed to help new companies overcome the barriers they will face, leading to success and growth. With 32 office units from 9.48m² to 44.89m², the iD Centre can accommodate a range of business sizes, from individual entrepreneurs to expanding businesses with several members of staff. 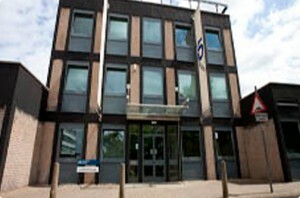 The Centre is managed by the University of Derby and the office units are subsidised for the first two years, making the transition from home office to business premises more manageable. For more information on the ID Centre, click here.